What endless active life is here! An air-stirr'd forest, fresh and clear." Part of our inheritance as human beings is the beautiful natural world around us. 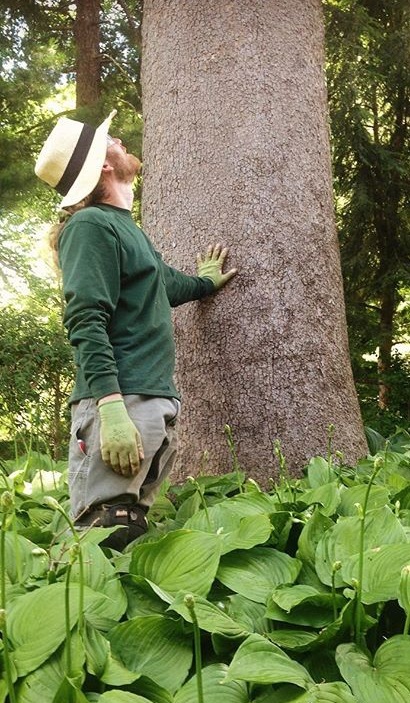 As stewards of this precious resource, it is helpful to reflect on the horticultural methods that we employ and how they might impact our relationship with nature. By choosing native plant species, avoiding harsh chemicals, and utilizing low-impact traditional gardening methods, the network of interconnected flora and fauna have a better chance to thrive. A healthy and balanced ecosystem supports all life, and by protecting our native species, our soil, and our waterways, we can strive to ensure a healthy environment for generations to come. With these principles in mind, it is possible to reevaluate our gardens with an eye towards conservation, and thereby find the beauty in naturalistic plantings. For example, by leaving the withered stalks of certain plants (such as coneflower) upright throughout the winter months, we provide seed for hungry finches. These plant "skeletons" also offer beautiful abstract patterns to look upon, extending the gardening season far into the winter months. Likewise, if fallen leaves are left in our garden beds in the autumn, they create habitat for overwintering creatures, all the while breaking down into precious nutrients for the soil. It is also important to include native species in our gardens. These plants have grown for centuries in our geological area, making them well suited to our climate and soil conditions. They are therefore much easier to establish in the landscape. Also, pollinating insects will thrive in gardens that include native species. These insects are especially important in the natural flowering and food production cycle, and a thoughtful garden design can create a beneficial habitat for them. Many caterpillars, for example, prefer to live on our native species, and they often become food for baby birds. If you are interested in these concepts, I am always happy to discuss this methodology during a consultation. I also encourage you to check out local organizations such as Wild Ones, the Kentucky Native Plant Society, and the Floracliff Nature Sanctuary.